Parkridge is a 1980s name for an 1880s neighborhood. The residential area known today as Parkridge was once a northern suburb of an antebellum village called Shieldstown, established in the 1850s on land that had been the farm of Moses White, descendant of Knoxville’s founder, James White. 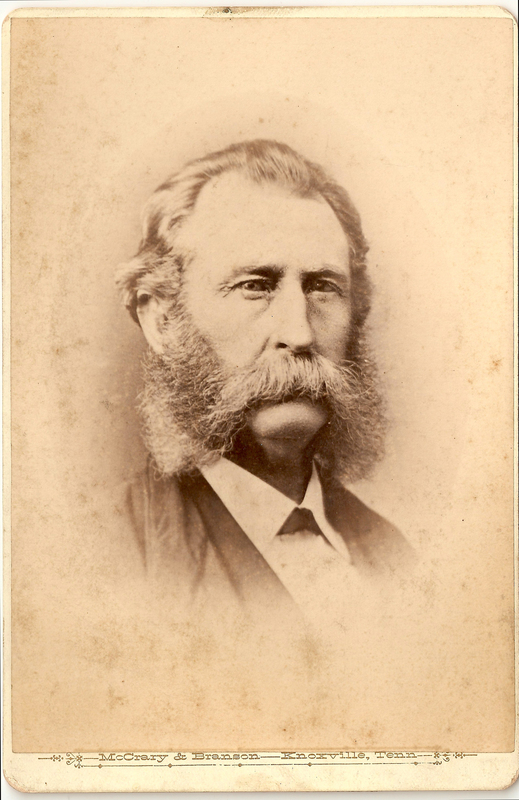 White’s heirs sold the land to Joseph Bell; Bell’s heirs sold the land to developer John Shields. Shieldstown in the 1850s was a six-block residential district extending from First Creek east to Bertrand Street. Its primary street was Linden Avenue, then called Howard Street, the main route west to Knoxville or east to Asheville. The octagon-shaped Shields house stood on a little knoll at what would become 1640 Magnolia Avenue. After the Civil War and throughout the 1870s, Shieldstown expanded with the construction of schools, churches, parks, and homes. The 1880 Shieldstown census shows that the town had grown to 721 residents living in 165 households, with a mingling of races and classes. The Elmwood Park and Poplar Springs subdivisions of Shieldstown were established in the 1880s, extending from Linden Avenue north to Woodbine and from First Creek east to Olive. These subdivisions form the southwestern section of Parkridge. Farther east was Cold Springs Farm, extending from present-day Olive Street east to Hembree and from Woodbine Avenue south to Tarleton. The farm was first owned by Robert Houston, senator, secretary of state, and first sheriff of Knox County, and then by Joseph Mabry, landowner, entrepreneur, and banker. The Cold Springs Farm estate house, built in the early 1800s, still stands with its springhouse at 2639 Martin Luther King Boulevard. The southeastern section of Parkridge is part of Cold Springs, a residential development established on the site of Cold Springs Farm. The Edgewood Land and Improvement Company was established in 1896 by George Barber, a well-known mail-order architect, and J.C. White, who began constructing houses in the Edgewood Park subdivision just north of Elmwood Park and Poplar Springs. Houses with definite or probable Barber designs have been identified at 1501 Woodbine Avenue; 1603, 1640, 1701, 1708, 1731, 2001, and 2039 Jefferson Avenue; 1614, 1618, 1620, 1626, 1635, 1701, 1702, 1704, 1705, 1712, 1724, 1730, 1801, 1802, 1803, 1904, 1905, and 1912 Washington Avenue; and 1810 Glenwood Avenue. East of Boruff Street, extending north to Adams Avenue and south to Jefferson, is the Hazen Hill Addition; Asa Hazen’s real estate firm was selling land in the area in the 1890s. These subdivisions make up the northern section of Parkridge. In 1907, the village of Shieldstown and its fashionable subdivisions were incorporated as the town of Park City. The new town’s boundaries were Glenwood Avenue on the north, Vine Avenue on the south, Castle Street on the east, and First Creek on the west. This area has been known as Park City to residents and former residents for over 100 years. Today the Park City Historic District is on the National Register of Historic Places, and the Edgewood Park section, with its concentration of Barber-design houses, has historic overlay protection.